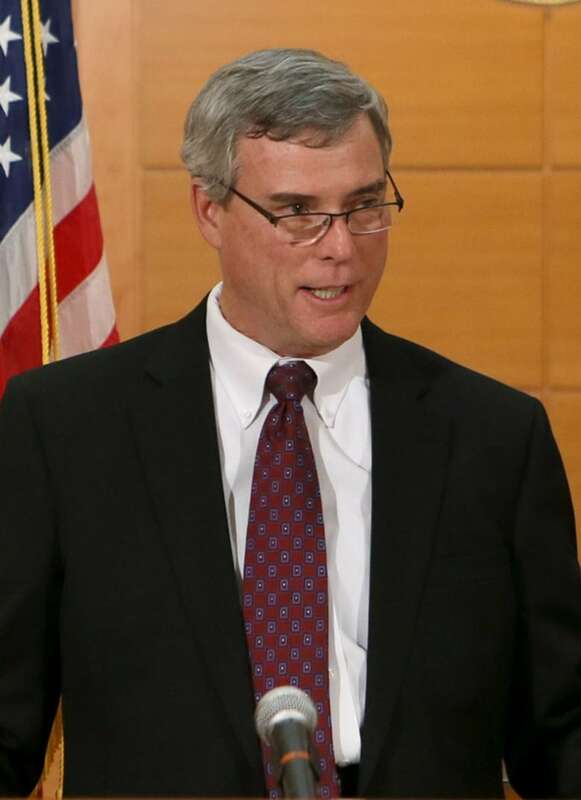 St. Louis County prosecutor Bob McCulloch ​said the 12-person grand jury worked "tirelessly to examine and re-examine" testimony from witnesses and evidence, and decided not to lay charges against a white police officer in the fatal shooting of unarmed black teen Michael Brown last August. 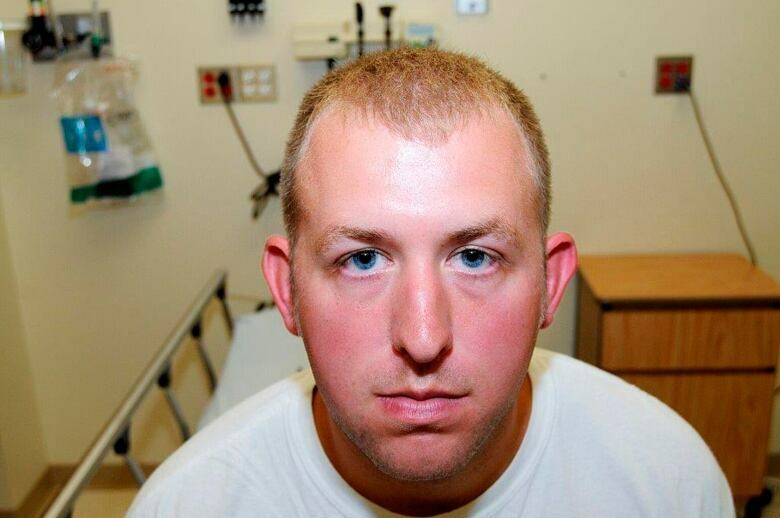 A grand jury in Ferguson, Mo., has decided not to approve criminal charges against white police officer Darren Wilson in the fatal shooting of unarmed black teen Michael Brown. The grand jury's decision was announced around 9:30 p.m. ET. St. Louis County prosecutor Bob McCulloch ​said the 12-person panel worked "tirelessly to examine and re-examine" testimony from witnesses and evidence. "Eyewitness accounts must always be challenged and compared against the physical evidence. Many witnesses to the shooting of Michael Brown made statements inconsistent with other statements they gave, and inconsistent with the physical evidence," McCulloch added. "The duty of the grand jury is to separate fact from fiction." He cited, as an example, that a number of witnesses claimed they saw Wilson stand over Brown and shoot into his back. Some of those witnesses changed their story "once the autopsy findings were released showing Michael Brown had not sustained any wounds to the back of his body," McCulloch said. McCulloch said all three autopsies conducted on Brown were consistent, as was the scientific evidence,and the conclusion was that there was no probable cause to lay any charges against Wilson. McCulloch mentioned that speculation in the media and in social media presented various versions of events, including that Brown had his hands in the air and was standing still when Wilson shot him. But, he said, numerous eyewitnesses whose testimony didn't change had never spoken to the media and their evidence has never been made public. 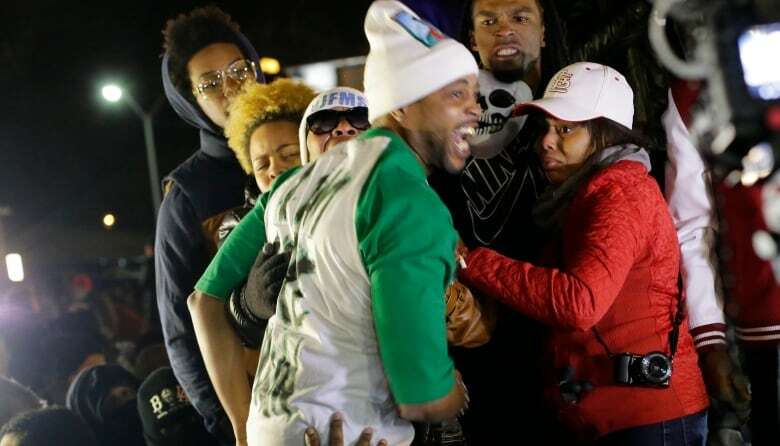 Some of the Ferguson demonstrations were repelled with firm police force, including firing bean bags into crowds and deploying squads of riot officers in armoured vehicles, a number of whom carried assault rifles while others held non-lethal weapons. TV footage carried images of burning police cruisers, bricks flying through the air and some looting of shops in Ferguson. Gunshots could be heard going off, but it wasn't immediately clear who was firing at what. 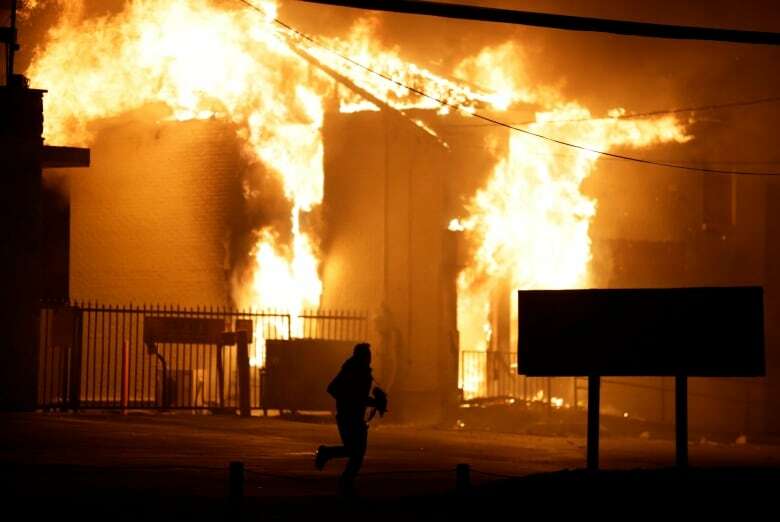 St. Louis police said around 1:30 a.m. local time that about a dozen buildings and two police cars had been torched, but that no loss of life had been reported since the grand jury announcement, despite several gunshots being fired. The unrest came despite pleas from Brown's family and U.S. President Barack Obama for demonstrations to remain non-violent. Brown's family released a statement shortly after the decision was announced. "We are profoundly disappointed that the killer of our child will not face the consequence of his actions," the statement said. Authorities released more than 1,000 pages of grand jury documents, including Wilson's testimony. Hours before the announcement, and before he himself had learned of the decision, Missouri Gov. Jay Nixon appealed for calm in a televised address. There were reports late in the night that Nixon was calling for more National Guardsmen in the wake of Monday night's violence. Under Missouri law, the 12-person grand jury only needed nine members to find there is "probable cause" to lay a charge for it to be approved. The panel had a range of possible charges it could have approved, from first degree murder down to involuntary manslaughter. The grand jury was convened in mid-August and heard testimony and evidence since then. The FBI is conducting a separate federal investigation into whether Wilson breached any of Brown's civil rights. That could result in separate criminal counts, though the Washington Post, citing sources, said investigators have more or less decided federal charges are not warranted. In his most recent statement on the matter earlier this month, departing U.S. Attorney General Eric Holder said there is no timeline for the FBI to announce the results of its probe. President Obama delivered a televised address Monday night, saying the distressed reaction to the grand jury decision is "understandable" but nevertheless "hurting others or destroying property is not the answer." "The fact is, in too many parts of this country, a deep distrust exists between law enforcement and communities of colour," Obama said. "The good news is there are things we know we can do to help​." It's not uncommon for deliberations to take a while in complex cases when, such as in the Brown shooting, self-defence is alleged or there are two widely conflicting versions of events, said Cole County prosecutor Mark Richardson, who is not involved in the Ferguson case. "In the course of their deliberations, if one grand juror convinces the others that 'Look, we need to hear from an additional witness,' and they all agree, the prosecutor's got a duty to bring that witness in," Richardson said.